Interest rate limbo land – what to do? Mortgage broker, Mortgage Choice, says it is clear there is a ton of confusion amongst home loan borrowers as to what direction to head while in interest rate limbo. “Borrowers are hearing conflicting messages from everywhere, about what course interest rates are on, whether it’s best to go with a fixed or variable rate, what’s happening with exit fees and who is trustworthy. Lenders can move rates any time, so today’s landscape may be quite different from tomorrow’s. Over one dozen lenders have increased their variable (and others, their fixed and variable) rates since the Reserve Bank raised the cash rate by 0.25 percentage points earlier this month. Some have not yet announced their move, but will most probably within the next couple of weeks. Most economists predict more cash rate moves in 2011. Prepare your budget for this now and perhaps try to make higher than necessary repayments to build a protective financial ‘buffer’. 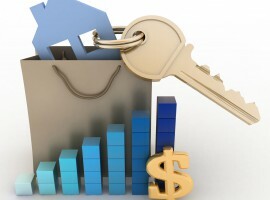 At present, there are variable home loans with interest rates as low as the mid 6% range. Three-year fixed term home loans (the most popular) have rates as low as the low 7% range. You will most likely pay a premium to fix part/all of your loan and will most probably sacrifice some flexibility in doing so, ie. the loan probably won’t have as many features. Also consider break fees. You need to decide what dollar value you put on a guaranteed steady repayment level. These are calculated differently by each lender. ASIC is cracking down on unconscionable fees (those that make a profit rather than cover costs). Smaller lenders don’t enjoy the same economies of scale as bigger players. Exit fees help them to be more competitive by allowing them to turn what would be a large fee for establishing a home loan into a fee that is charged only if the customer exits that loan within up to five years. Australia needs a competitive market to encourage better loan pricing, innovation and service. There is an extensive range of safe lenders in Australia, from the big banks through to smaller credit unions, building societies, non-bank lenders and others. When choosing a lender and loan product, be sure to weigh up pros, cons, needs and wants such as these: cost (upfront, ongoing, exit), features (interest rate and type, redraw, offset, portability, term), service (loan access, customer query channel, approval turnaround time) and reputation.